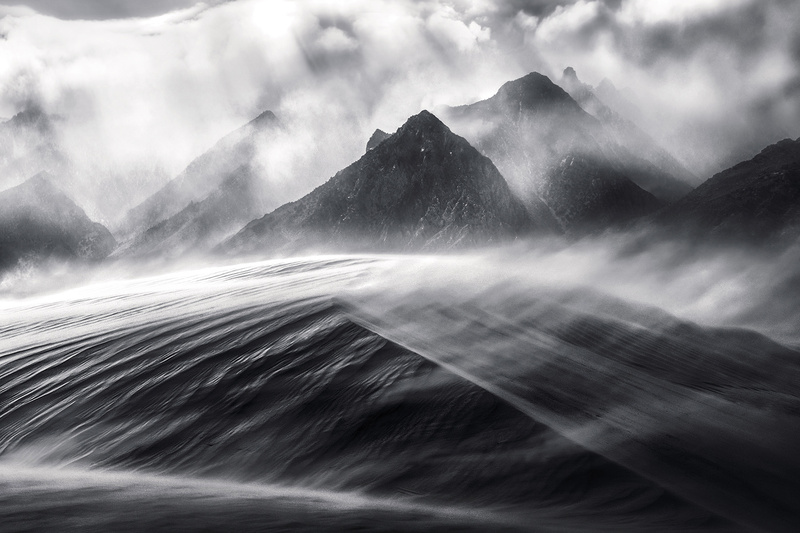 50mph winds strip the sand off the dunes under Sierra Peaks. . Photo © copyright by Marc Adamus.